This week we wanted to discuss the evolution of the refrigerated container. 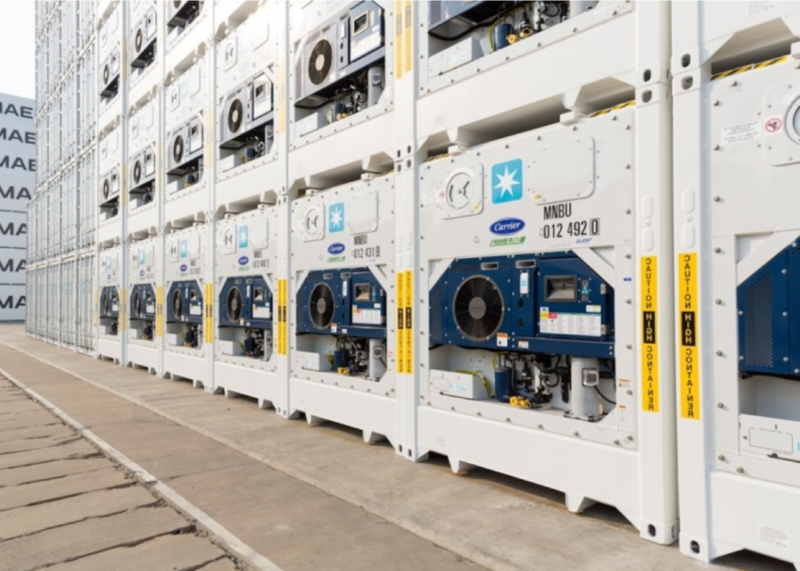 Reefer transport, one using refrigerated trucks, trailers and shipping containers is used to ship items that require temperature-controlled environments. 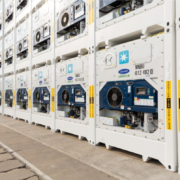 Reefer freight is vital nowadays due to the time and temperature sensitive cargo being shipped across larger and larger distances in shorter time frames. Before modern-day shipping containers appeared in the mid-20th century, loading and unloading of vessels comprised very labour-intensive and time-consuming exercises. Barrels, sacks and wooden crates of various sizes and shapes were used to carry goods to the port, where they were then loaded onto the dock and transferred to waiting ships for their oceanic journeys. Back in the 16th century seafood products were very popular but, due to the difficulty in transporting them, were limited to people living near coastal areas, rivers or lakes. In the early 1800’s ice and salt were placed under and alongside cargo with the aim to reduce spoilage. Though an improvement, it was still impractical. Livestock was dying in transit resulting in significant profit losses for farmers. Meat products were also going off before reaching their final destinations. 1867. The first patent for refrigerated rail cars was granted to J.B Sutherland from Detroit. His design for reefers included a special holding area for ice at each end of the purpose built box car. 1877. Another French engineer, Ferdinand Carré, perfected Charles Tellier’s system, managing to ship 150 tonnes of frozen meat over 50 days, from Sydney to the UK, in a ship equipped with compression refrigeration. The journey successfully transported all perishable cargo without any incidents. 1900’s. The 1st refrigerated vessels specially designed to transport bananas, such as the Port Morant, appeared in 1901. CO2 machines were then used to reduce the temperature and control it. This marked a decisive step forward for the transport of temperature sensitive fruit. Mid-way through the 1930’s the first portable air-cooling unit was invented by Fred Jones. These units were placed on the outside of trucks that carried perishable foods. By the late 1930’s refrigerated trailers were reaching 38-40 feet in length. It is not until the 1950s/60s that we entered the golden age of refrigerated containers, a real revolution in the shipping world. By then reefer transport was better controlled and new foodstuffs, such as tropical fruits or even meat, could be shipped across any ocean. The 1970s saw the arrival of refrigerated containers especially designed to be transported by container carriers. Reefer containers existed in various shapes and sizes each were equipped with their own, separate cooling units controlling the inside atmosphere. Onboard a ship, the reefers were plugged into the onboard power supply system. At the terminals or when carried inland they were connected to reefer plug points or provided with a clip-on generator sets. This system is still largely in use today within the cold supply chain. 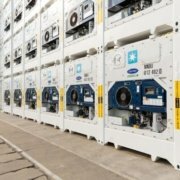 The Future: new systems are being created and are already in operation that make controlling various parameters of the container remotely possible. These include temperature control, accidents, door openings, alarms, etc. This type of smart technology will enable a better control of container transport from its origin to the destination. 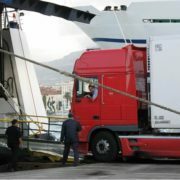 The success of companies that transport temperature-controlled products comes down to knowing how to ship a product with temperature control adapted to the shipping circumstances and to each type of equipment used, as well as their knowledge of the requirements of each perishable goods type. We are now in the twentieth century and we are seeing a glimpse of the power that the Internet of Things has over transport equipment. At the Escola we are excited to see how the reefer containers continue to evolve and facilitate safe and rapid transport. Intrigued? You can learn about reefer containers and temperature-controlled supply chains in our technical course dedicated especially to this type of transport. Register now here.